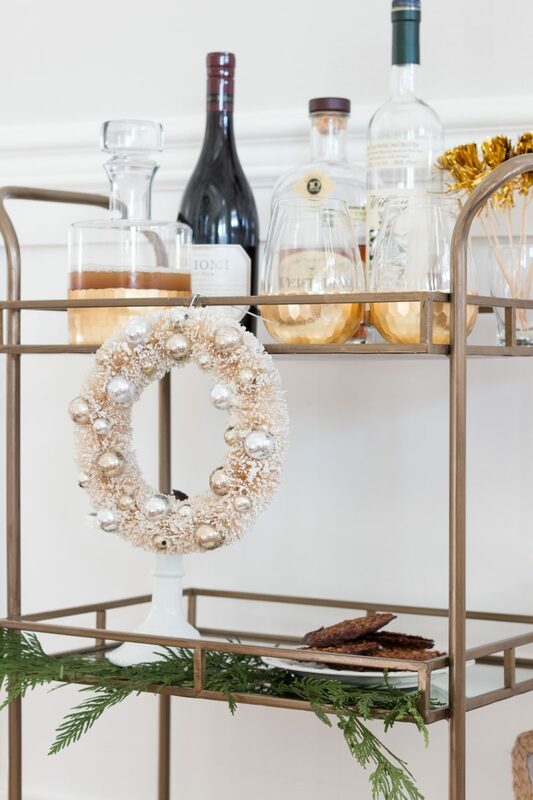 Styling a bar cart for the holidays is one of my very favorite ways to entertain and kick off a party. You really can keep it simple, yet beautiful. 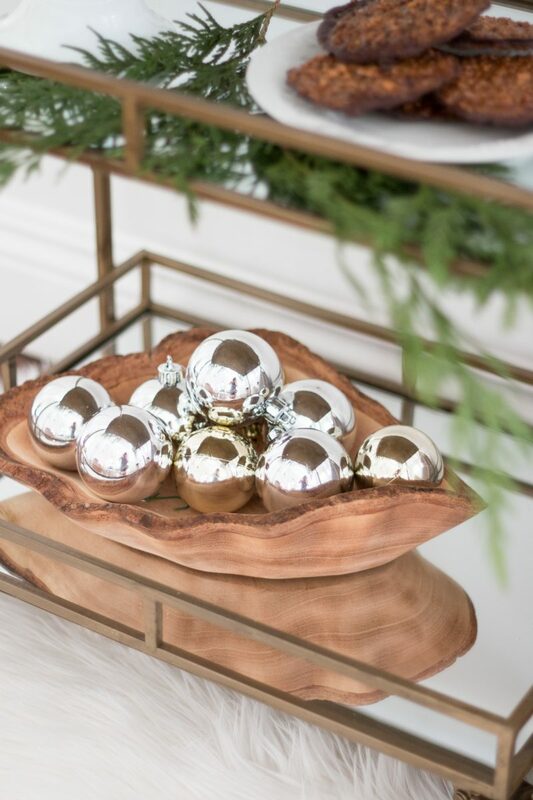 I partnered with World Market to create two entirely different looks for this upcoming holiday season. One is perfect for welcoming the little ones for a pajama and hot cocoa party while the other one will get the party started for the adult crew. Both took only minutes to pull together. A gift exchange with the kids would be really fun. Or maybe a book exchange. These gifts were repurposed and are from under the Home Sweet Home Dream Tree. The homemade gingerbread ornaments make for simple and fun gift tags. This red bug brings back so many memories because a ’71 Volkswagen red bug is what I learned to drive on and I loved that car. The top of this comes off revealing a really cute cookie jar and filled with cookies would make a really cute gift. These mugs are precious. I love the classic design and think they are timeless. 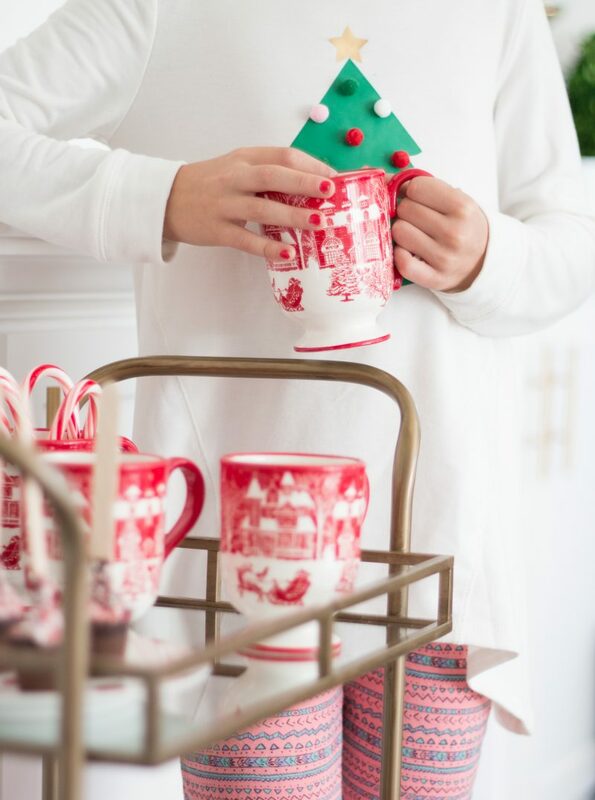 I also LOVE these santa mugs but our store was sold out. I saw them last year and waited too long so I think I need to order these. This sweet girl had so much fun helping me with this shoot. I adore the young lady she is becoming. Very thankful she wants to invite her friends over for a hot cocoa bar and gift exchange. I am hoping and praying she always wants to bring her friends around. The hot cocoa and stir sticks were a huge hit with my two. Easy and super fun for the kids. I also noticed the mugs are on sale. I love the red and white city scene. 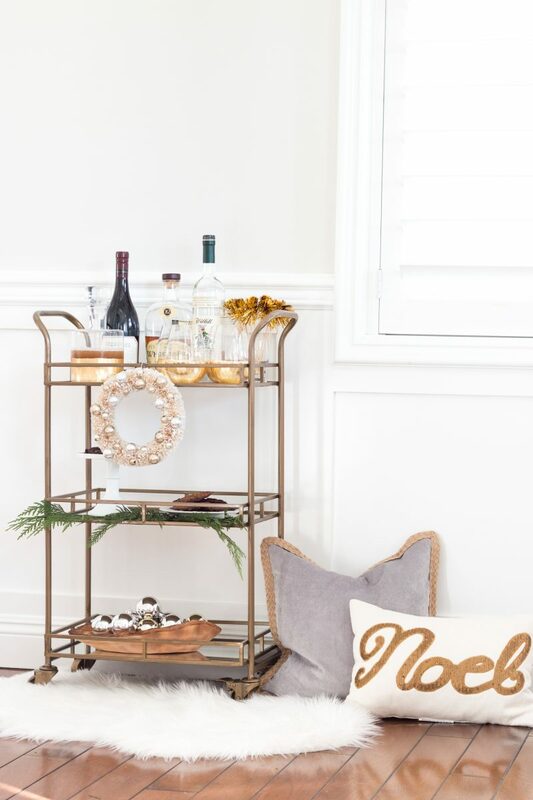 With the onset of the holiday season, I thought it would be fun to show you how to style this versatile cart (25% off) for the adults. It doesn’t have to include alcohol or a full bar. We are all about offering a couple of drinks and by now we know what our friends enjoy. We are hosting a party next week and our decanter will be full of wine versus cider for the shoot. Just keeping it real. #tricksofthetrade. 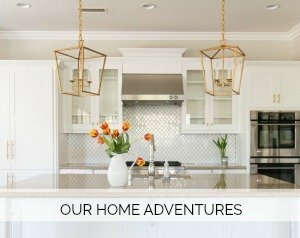 This spot is close to our living room and fun to be able to offer guests a sweet treat or cocktail when they come in the door for a party. 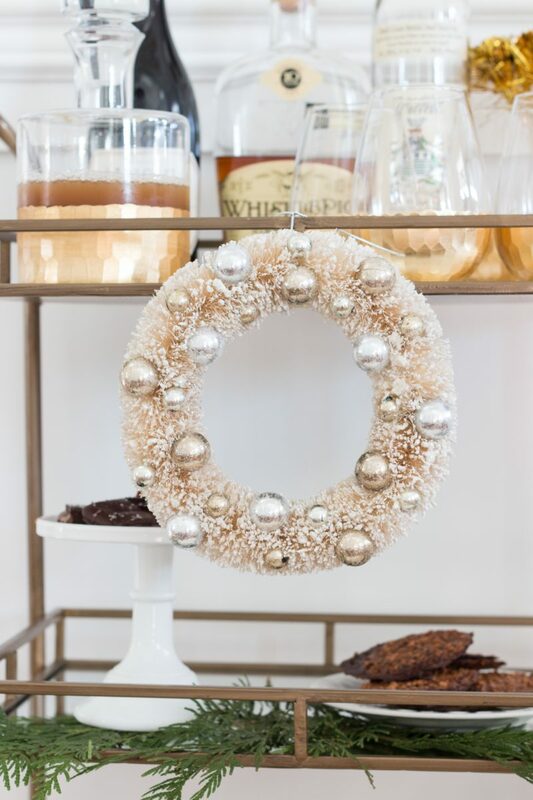 This wreath is so sweet and a fun addition to the cart. Adding fresh greens from somewhere like Trader Joe’s gives the cart some life and smells amazing. I couldn’t resist this bark bowl. 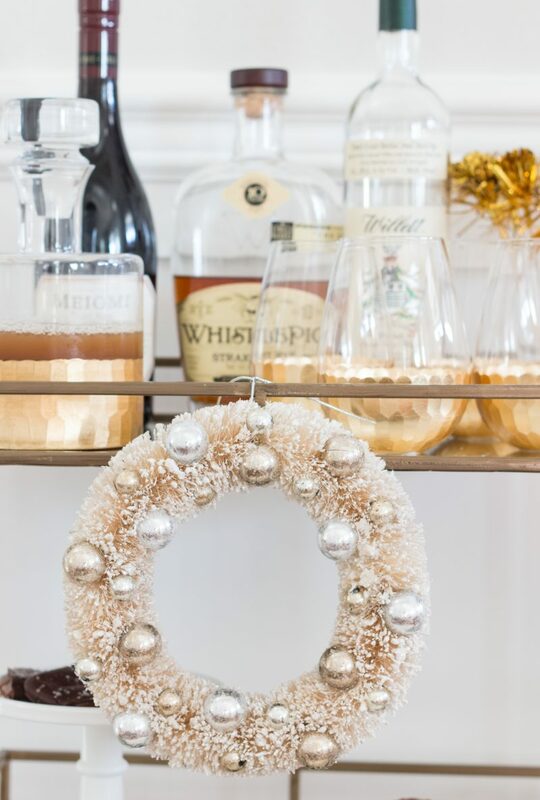 With a handful of ornaments its bar cart ready. It would be a great one to toss on your table with crayons in it during the year. 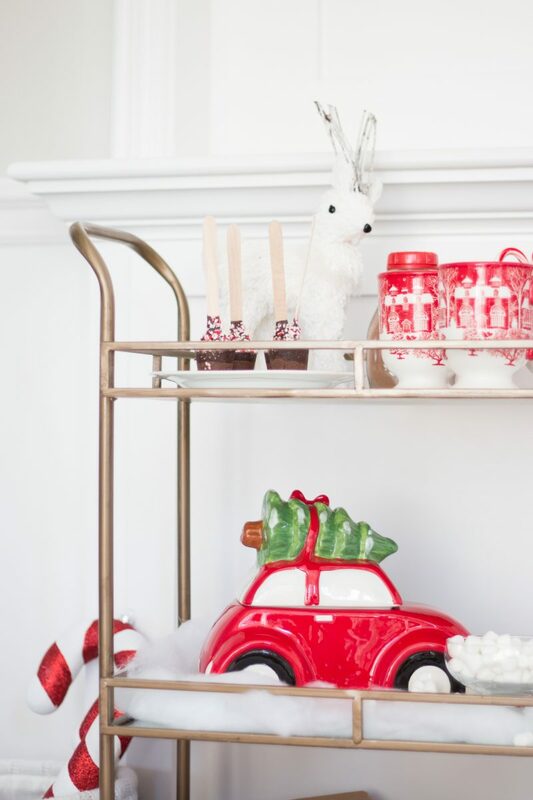 We’ve actually always styled our bar cart with coloring supplies so the children could easily grab them and create. Stop the presses. 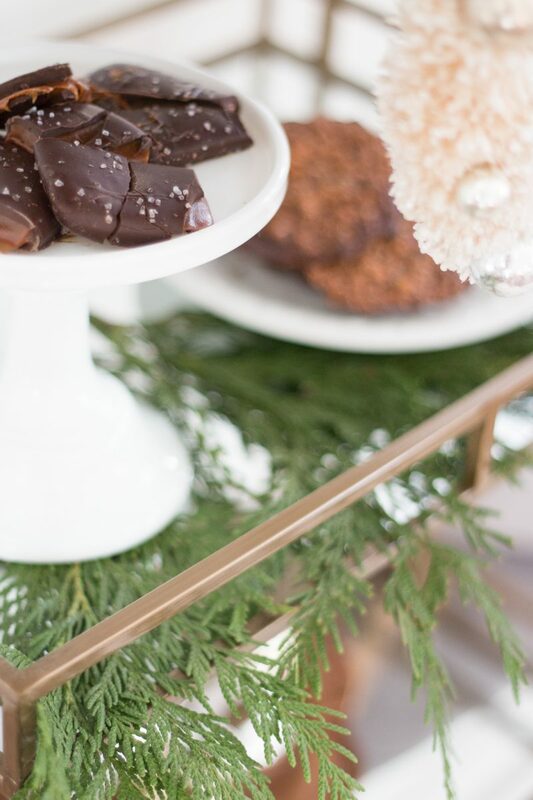 This Salted Caramel Bark is out of this world. You know I am not a sweets lover but this is beyond delicious. It’s soft and salty and seriously good. I am planning to to pick up a few boxes to keep on hand to give to friends and neighbors. 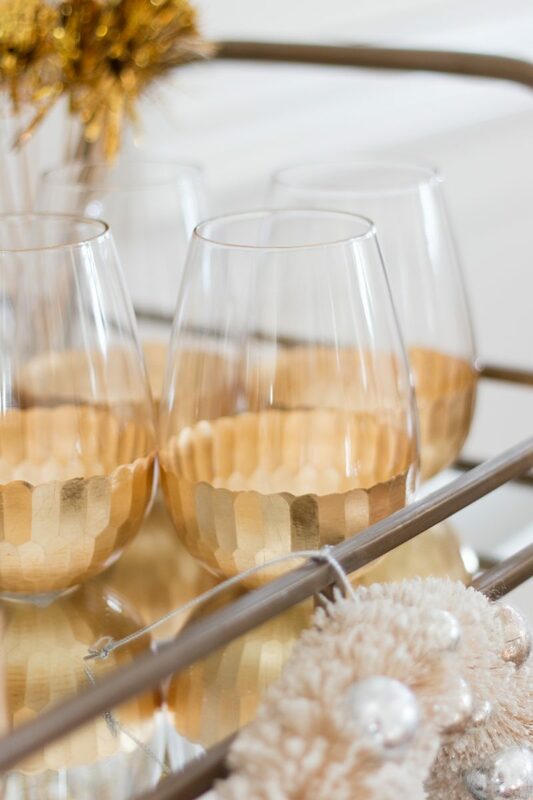 Without a doubt, these gold stemless wine glasses are fun for the holiday and touch of glam makes the bar cart look even better. Better yet, they are on sale! 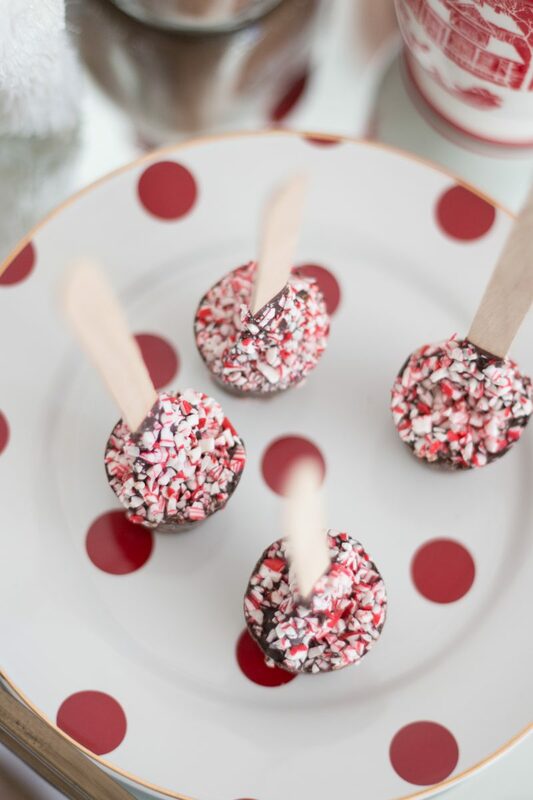 I hope these spark some ideas for your holiday entertaining. 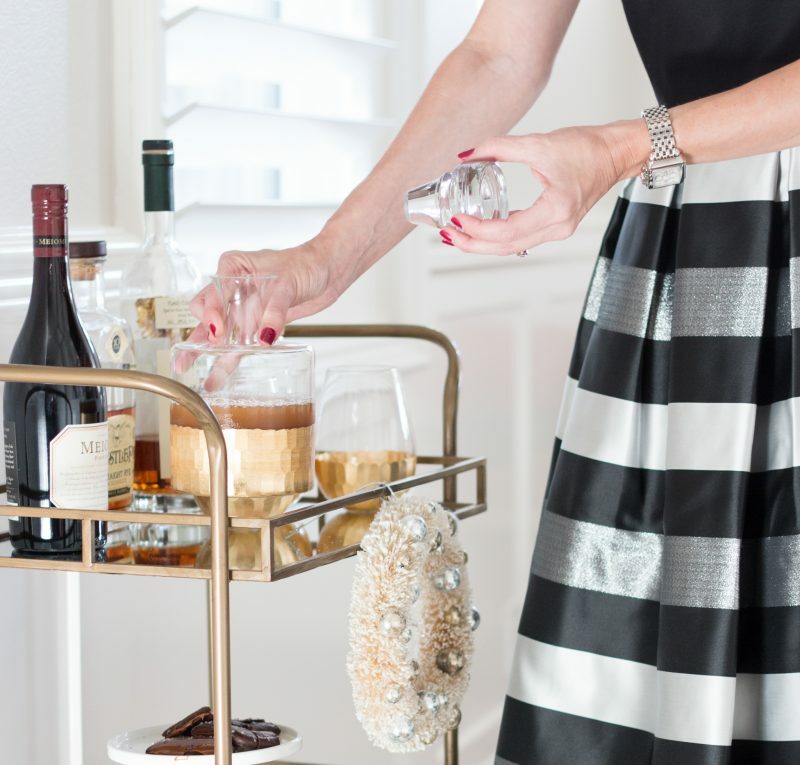 The great thing is that a bar cart takes up hardly any space and can be placed inside or out for a party. Let me know if you style one for your next get together. Maybe even for Thanksgiving. Both carts are styled so beautifully. I especially love the hot chocolate one. Happy Thanksgiving. Awe! Thanks, Lauren. She is so much fun and we had a blast working on this together. Happy Thanksgiving to your family. Enjoy the time with those darling girls of yours. So thankful for you. I have to agree with Lauren, Riley nailed it! Would you ask Riley if she’d consider inviting me for her hot cocoa bar and gift exchange? ???? She is darling Courtney. She is your mini you. My best friend had a red VW bug and we zipped around everywhere in it. Lots of laughter and great memories. Those mugs are fun and festive. I grew up with Santa mugs and might need to grab a set of those for us. You look gorgeous in that skirt! Very classy. LOL. Something tells me she would be all in for that! And thank you. Oh I love that you were cruising around in a bug, too. So many memories. I almost gave my friend whiplash trying to learn how to drive the stick shift car. Still laugh about that. Good luck these next couple of days getting ready. Happy Thanksgiving, Allison. 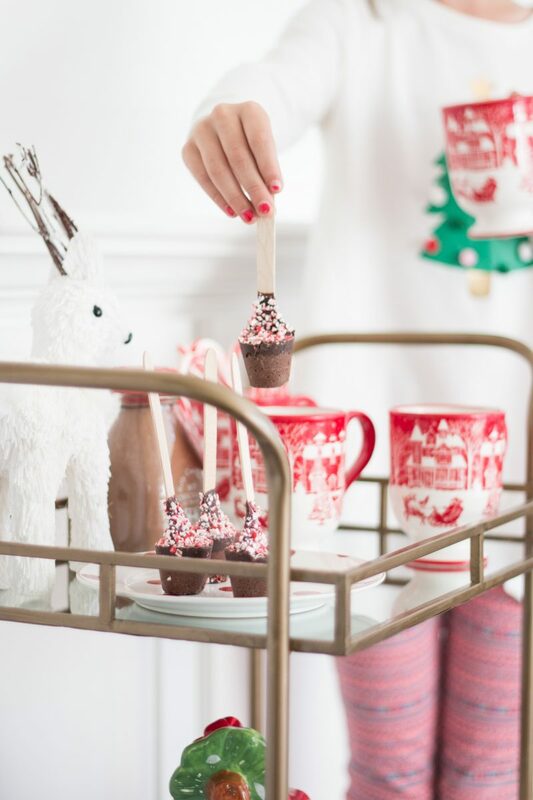 That’s a great idea for a kids hot chocolate bar. So adorable and creative! Where did you find the Noel pillow? 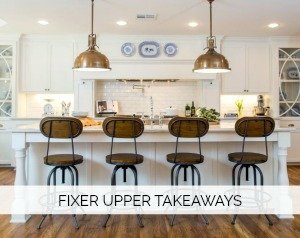 Perfect accent–genius! I spy Whistlepig! Sending holiday love from Vermont! These are both really nice! Thanks for sharing at the Family Joy Blog Link Party this week! I love the Hot Cocoa cart. The mugs, cookie jar, delicious chocolate, snow, it’s wonderful. Thanks for sharing on Sunday’s Best. The hot cocoa bar is just genius! And beautifully styled- thanks for sharing!